NVIDIA Releases New Linux Drivers, Receives HUGE Performance Boost, Valve Launches Steam for Linux Beta! It is not everyday that you hear a major hardware vendor releasing a dedicated Linux driver with much fanfare. 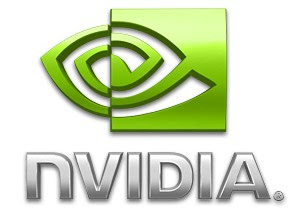 NVIDIA has just announced the latest NVIDIA GeForce drivers - R310 - for Linux. According to NVIDIA, this new set of drivers for Linux almost double the performance and dramatically reduce game loading times in Linux based operating systems. NVIDIA Releases New Linux Drivers, Steam for Linux Beta Launched with 26 Games! NVIDIA's new R310 drivers support the newest GeForce GTX 600 series GPUs. According to NVIDIA, this is a result of almost a year of hard work by NVIDIA, Valve and other game developers, and have promised to give GeForce users the best possible Linux-based PC gaming experience. There's more. Along with the release announcement of GeForce drivers, NVIDIA hinted at the imminent launch of Steam for Linux beta. To the excitement of millions of gaming folks who also love Linux, Steam for Linux beta was finally announced by Valve. The new set R310 drivers from NVIDIA are said to be thoroughly tested with Steam for Linux, the extension of Valve's phenomenally popular Steam gaming platform. Steam for Linux beta is launched with 26 games at its disposal, which include popular free-to-play games such as Team Fortress 2. "With this release, NVIDIA has managed to increase the overall gaming performance under Linux," said Doug Lombardi, vice president of marketing at Valve. "NVIDIA took an unquestioned leadership position developing R310 drivers with us and other studios to provide an absolutely unequalled solution for Linux gamers." Steam for Linux is in a limited access beta state at the moment and is currently available for installation on Ubuntu 12.04 and above. "An overwhelming majority of beta applicants have reported they’re running the Ubuntu distro of Linux," according to Frank Crockett, a member of the Steam for Linux team, "We intend to support additional popular distros in the future; we’ll prioritize development for these based on user feedback."